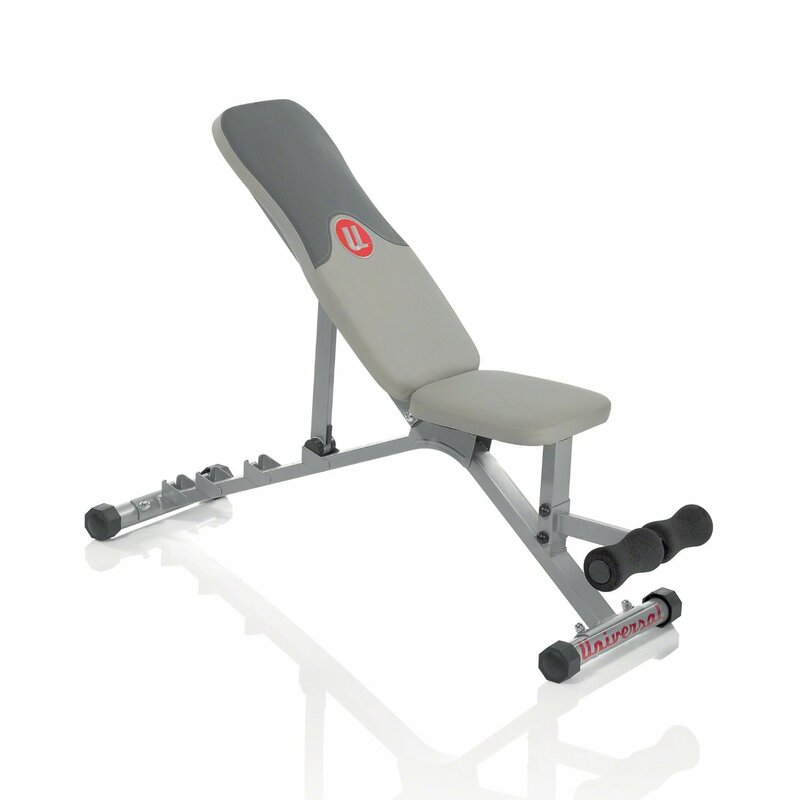 The Universal Five-Position Weight Bench is a great value bench which features five different positions, allowing you to hit your muscles from a range of incline, decline and flat angles. 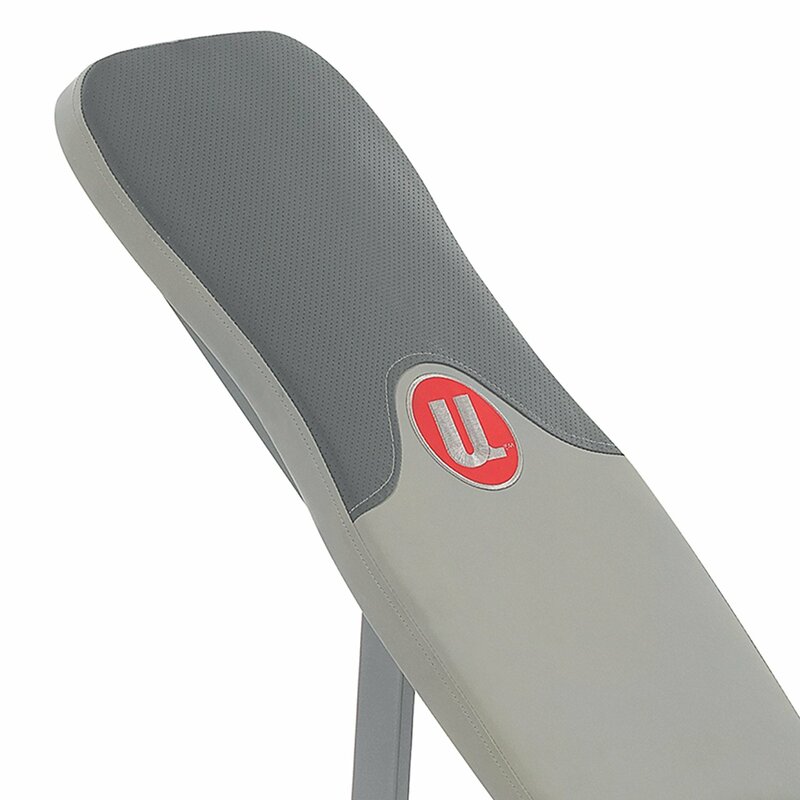 It also features innovative stabilizer levels which allow you to stabilize the bench and use it on virtually any surface. 5 inch padded foam rollers whichkeep your feet comfortably and securely locked in position. 5 different positions;45 degree (steep incline), 30 degree (medium incline), 15 degree (narrow incline), 0 degree (flat) and -10 degree (decline). Stabilizer levelers which allow you to use and stabilize the bench on almost any type of flooring. 2 year limited warranty which entitles you to a free replacement or repair if anything goes wrong with the bench during this period. Bench size = 17 inches by 25 inches by 51 inches. Maximum weight capacity =430lbs (250lb bodyweight and 180lb free weights). 1) Sturdy:One really impressive feature of the Universal Five-Position Weight Bench is its sturdiness. The bench itself is built to a very high standard and has a solid, sturdy feel. 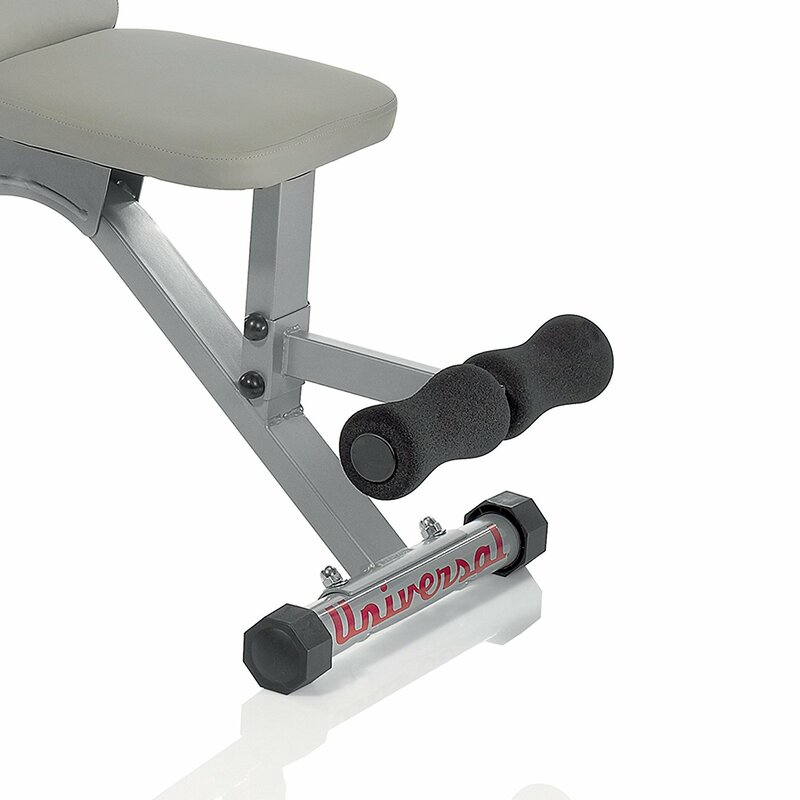 However, the thing that really sets this bench apart from its competitors when it comes to overall support is the stabilizer levelers which allow you to eliminate any slight wobbles and keep it completely still as you lift. 2) Lightweight:Another great thing about the Universal Five-Position Weight Bench is that it weighs just 33lbs. This makes it incredibly easy to move around and store. So if you have a small home workout area and are planning to move the bench around a lot when you buy it, the lightweight design is definitely something you’ll like. 3) Comfortable:A further benefit of the Universal Five-Position Weight Bench is that it’s very comfortable to use. The foam is perfectly balanced and dense enough to provide you with the support you need while lifting heavy weights but also soft enough to keep you comfortable as you workout. 4) Easy To Assemble:As well as being sturdy, lightweight and comfortable, the Universal Five-Position Weight Bench is also very easy to put together. All the tools you need come in the box and it can be put together in less than 20 minutes. 1) No Upright Angle: One negative of the Universal Five-Position Weight Bench is that it doesn’t have an upright angle. So if you want to perform exercises that require you to sit upright (such as the seated shoulder press or the seated bicep curl), you have to either perform them without any back support or at a slight incline. This isn’t a huge problem as the slight incline is close to upright but if you’re used to working out on benches with a fully upright angle, this is something to be aware of before you buy. The Universal Five-Position Weight Bench is a solid, functional purchase that supports all your weightlifting needs for less than $100. 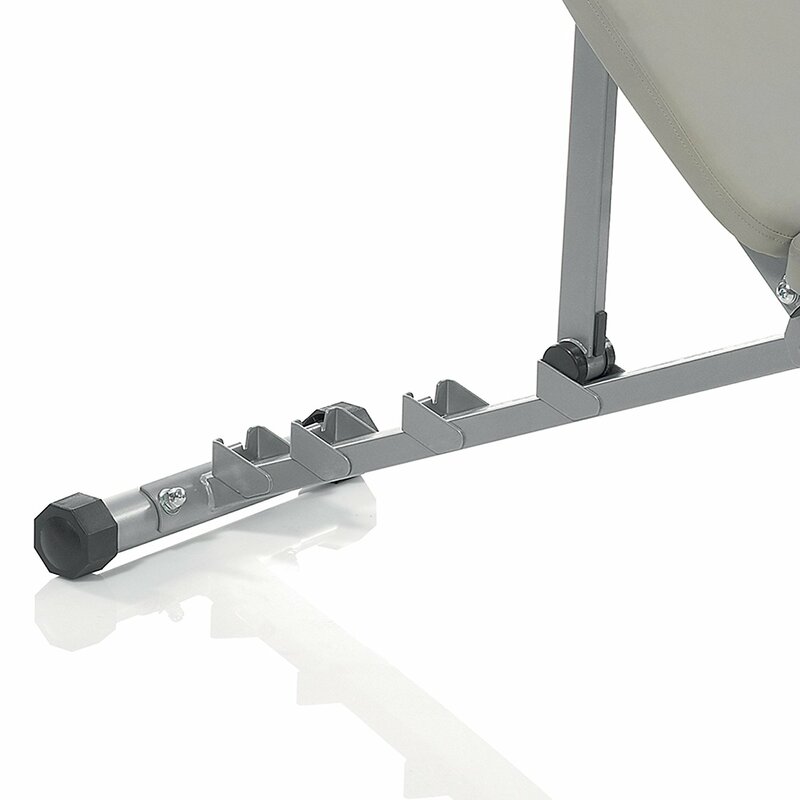 The lack of an upright angle is a minor flaw, so if you’re planning to do a lot of exercises that require back support, you may want to look at other benches. However, if the lack of back support isn’t a big issue for you, you’ll be more than happy with the Universal Five-Position Weight Bench. Click here to buy this product!